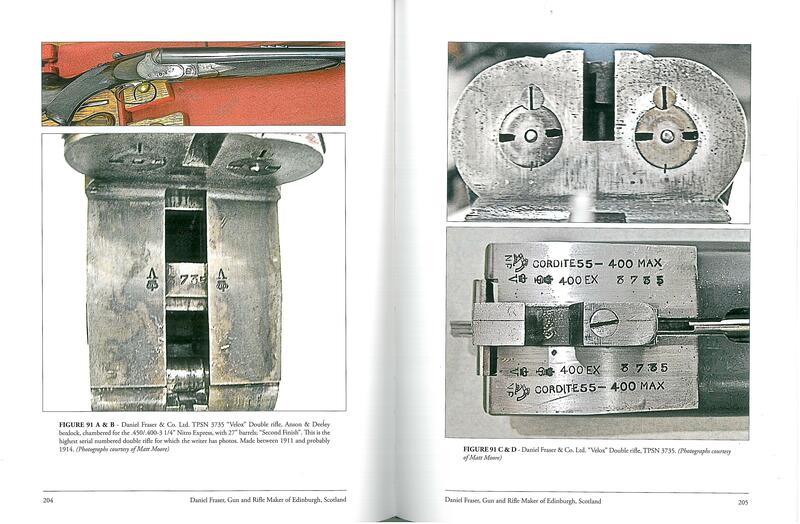 Description: Written by Jonathan G. Kirton and Printed in Sept. 2014. Hardcover, 274 Pgs. 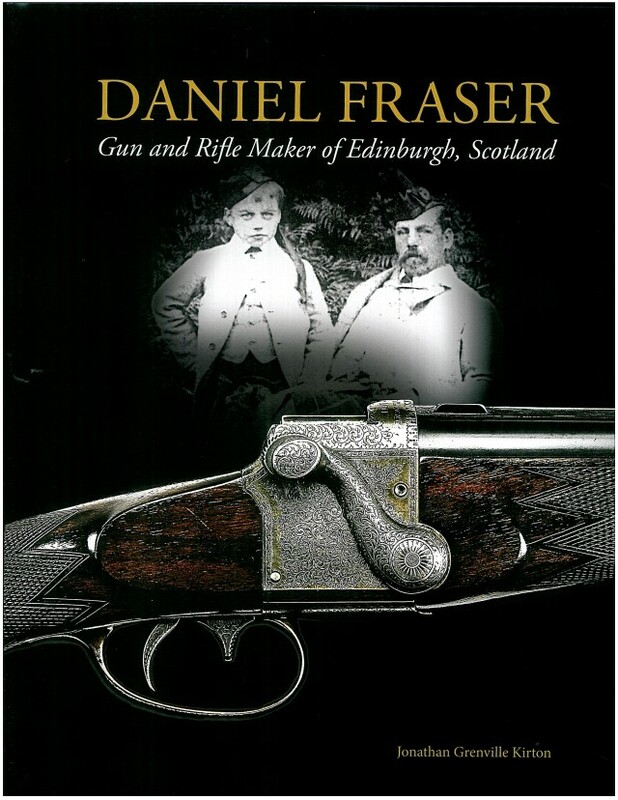 This book covers the personal history of Daniel Fraser and of the famous gunmaking firm which he founded, and following Daniel's death the subsequent activities of his two sons. 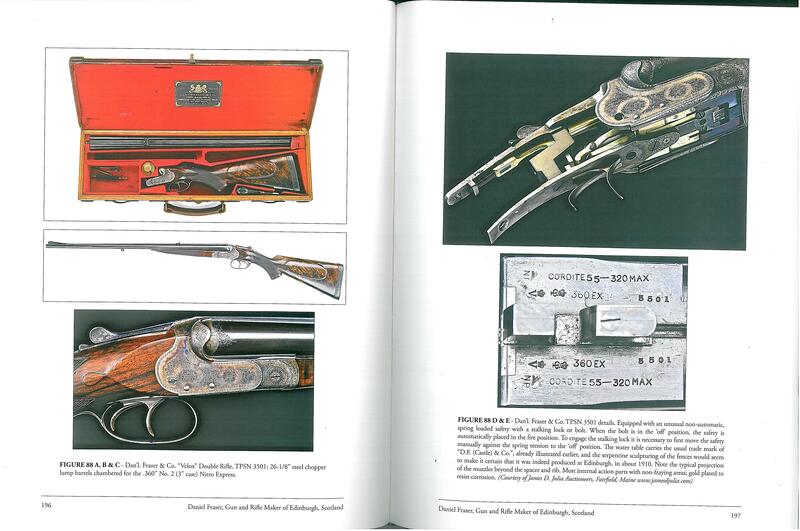 It includes a never before published, assembled partial record of his total production by serial number of his best quality firearms (TPSN), initially assembled by a Fraser family confidant and foremost collector, along with a record of those of his firearms which carried special serial number series, and Action Patent Use Serial Numbers. 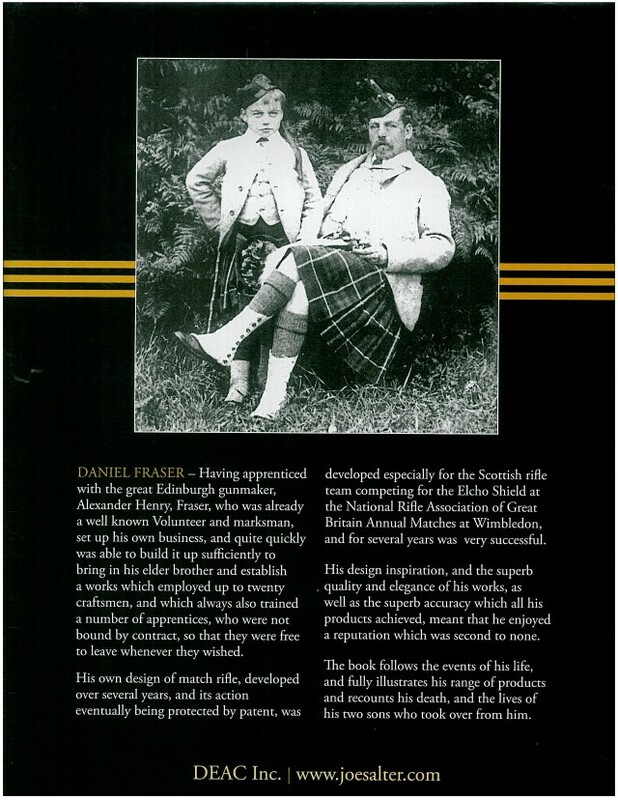 The book includes full details of all the patents acquired or initiated by both Daniel and his eldest son; also full details about Fraser's patented bullet and line of special proprietary cartridges; and also illustrations of many Fraser advertisements and a late Fraser sales flyer. It also includes black & white photographs of probably most types of firearms which were either built entirely in-house, or in a much modified form to a very high standard on bought-out actions, particularly for repeating rifles. The book also includes two sections of photographs in full color. ENTIRELY PRINTED AND BOUND IN THE U.S.A.